As a student I had, like most students, a love-hate relationship with MIT. You love the environment, the rich academic ambiance, the incredible breadth of talent, the access to world-class resources, the proximity to Boston but hate the fact that it can be incredibly intense and why do those problem sets have to be so hard and why does it have to rain so much?! As a sophomore, I spent 15 consecutive hours trying to solve a 18.03 (Differential Equations) problem only to be told subsequently by the Professor that the theorem had no known solution and he wanted to see how his students approached it! Love it or hate it. MIT is now officially the #1 university in the world. 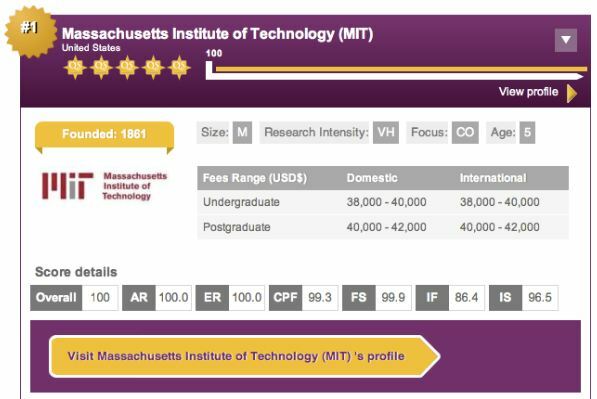 MIT received an overall score of 100, beating out the University of Cambridge, who came in at 99.8, and Harvard at 99.2. If MIT were a country, it would have the 11th largest economy in the world. As of 2006, 25,800 companies had been founded by still-living MIT alumni, employing 3.3 million people, according to the Martin Trust Center for MIT Entrepreneurship. This entry was posted in About, Education and tagged Boston, Differential Equations, Harvard, MIT, Problem Set, University. Bookmark the permalink.